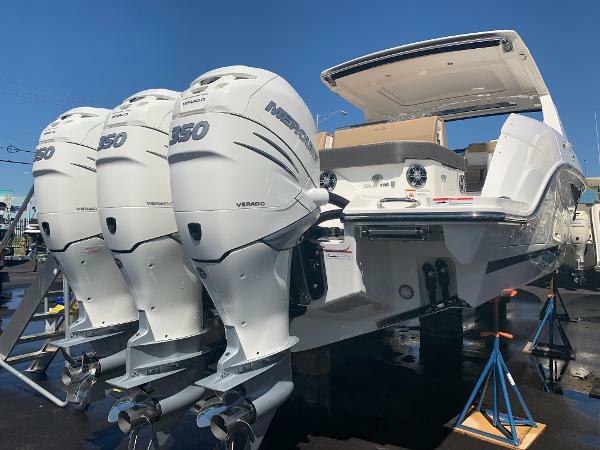 The SLX 400 OB is an outboard variant of the Innovation Award-winning SLX 400, with massive capacity, deluxe amenities, breakthrough design and incredible versatility - for the total freedom to design your own adventure. 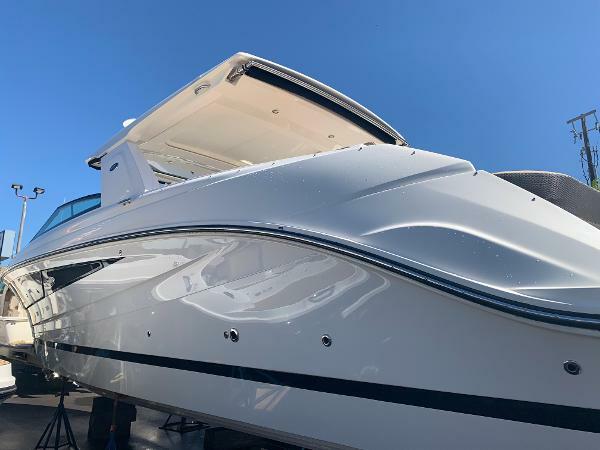 From the ingenious fold-down patio wing, to the robust cabin, to the amenity-rich cockpit, the SLX 400 OB is the consummate entertainer and a superior all-around performer - and the epitome of Orchestrated Excellence. 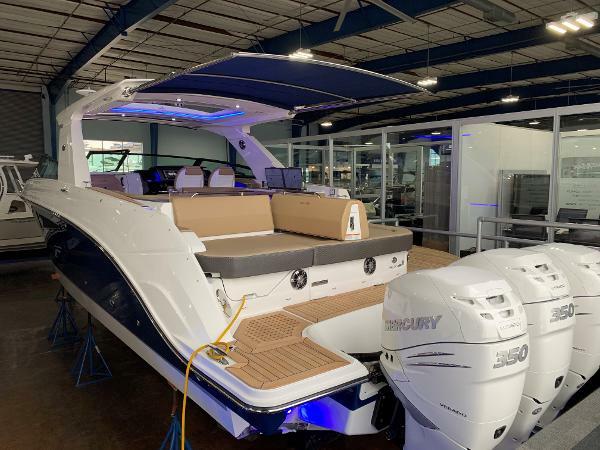 Introducing the SLX 400 OB, an outboard variant of the Innovation Award-winning SLX 400, with massive capacity, deluxe amenities, breakthrough design and incredible versatility - for the total freedom to design your own adventure. 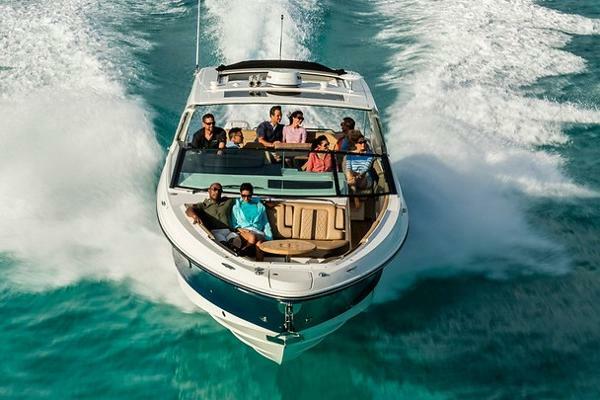 From the ingenious fold-down patio wing, to the robust cabin, to the amenity-rich cockpit, the SLX 400 OB is the consummate entertainer and a superior all-around performer - and the epitome of Orchestrated Excellence. 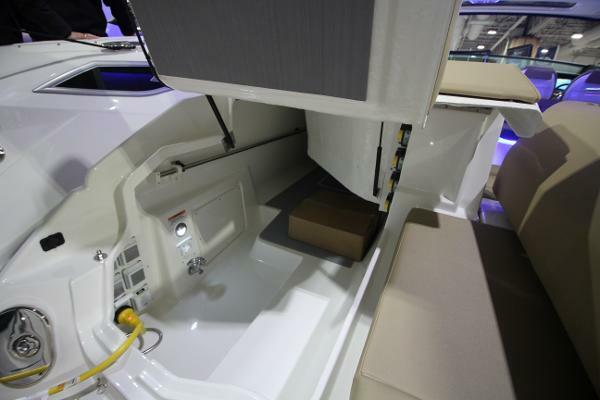 An expansive cockpit social zone has a well-appointed wet bar with refrigerator, sink and available dual grills while the innovative new transom patio wing opens to extend the cockpit all the way to the water. 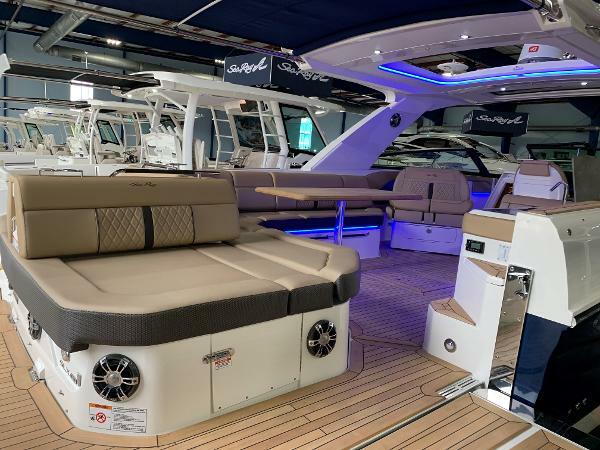 At the bow, a row of forward touring seats features arm rests and convenient cupholders, with additional forward benches that surround a stylish bow table, which also converts into a sunpad. 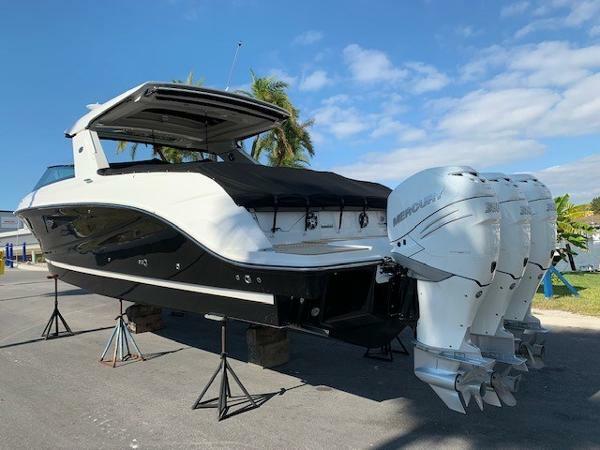 Premium Fusion® audio system w/ Bluetooth® & Wi-Fi™ Streaming Plenty of sun coverage via fiberglass hardtop w/optional aft extended sunshade & bow sail shade system. 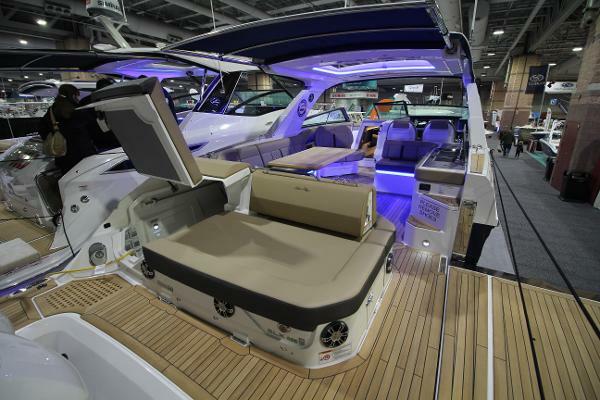 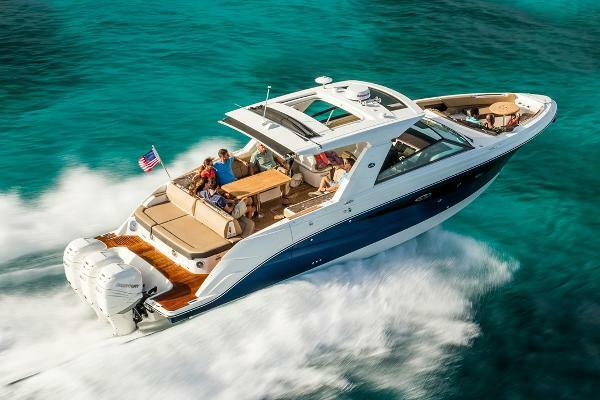 For overnighting, premium comforts extend to the cabin via a queen-sized bed in the aft section and a forward bunk that converts to form a social gathering area. 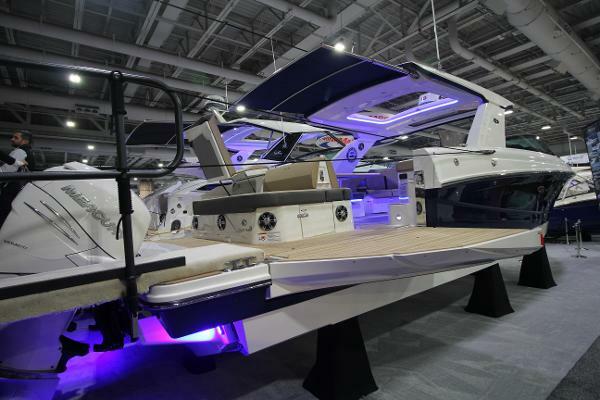 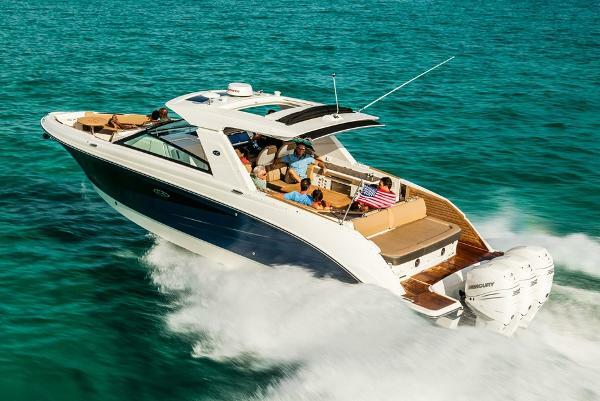 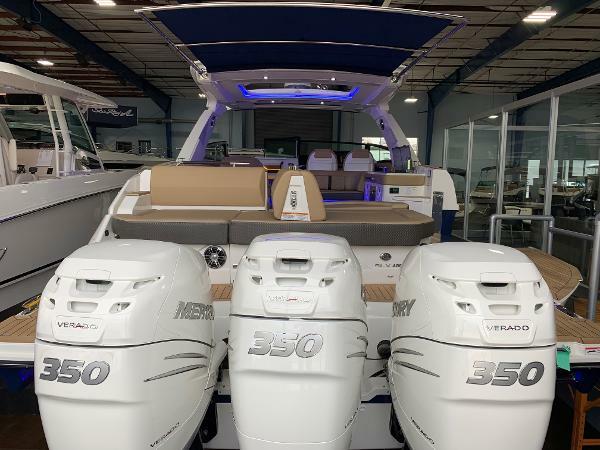 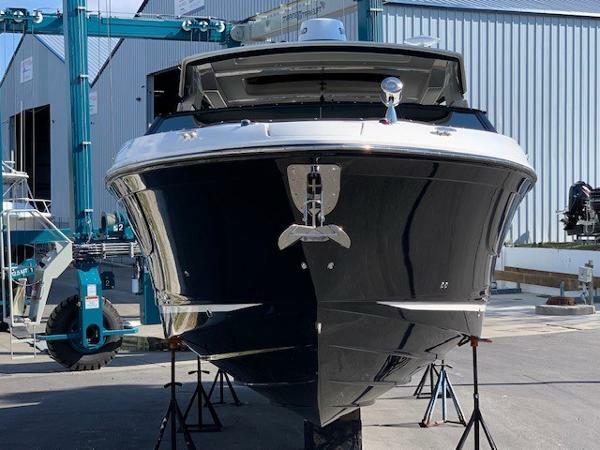 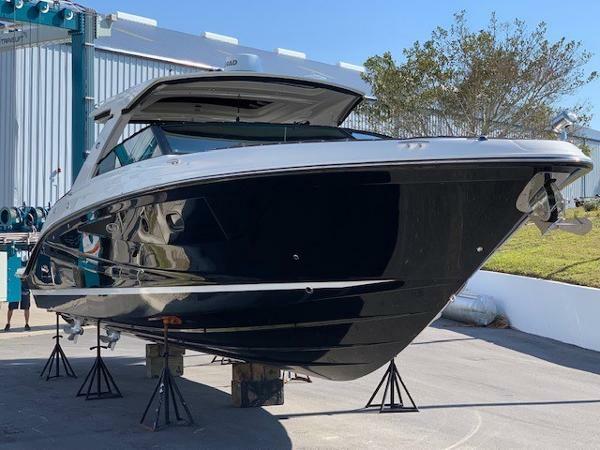 Innovations, found throughout, include standard Joystick Piloting; Digital Switching technology and Dual Digital Dash w/ standard 16” Simrad Touchscreen displays.